UF Dental Surgical Suite — Skinner Vignola McLean, Inc. This project was only part of a much larger project. Being our first project for UF in many years, the Project Manager immediately recognized our name and contacted us to be part of the team. 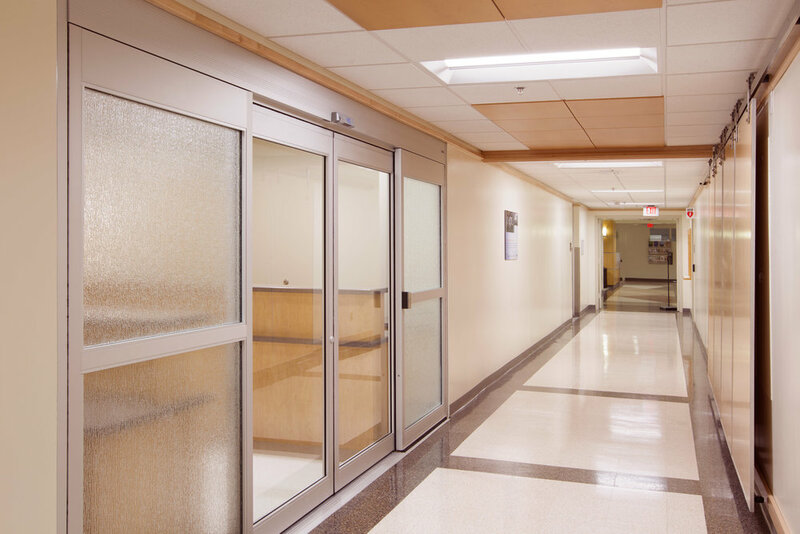 A CM was under separate contract to perform finishes and other renovations throughout a portion of the hospital. The actual College of Dentistry clinical design was being performed by a UF sta Architect, but we were highly complimented when the CM stated that they wished we had been able to perform the entire design rather than just the finish package. Due to our involvement throughout much of the process, we believe that we were also instrumental in helping make some of the more crucial decisions which led to the success of the project. The suite finishes were selected for a Dental Clinic/learning environment, to blend with the overall hospital design and to have a classic, modern appearance to last well into the next generation.